All of my recordings are dreams realized... That is, a dream of being able to share my music with you. My thanks to the many musicians who participated in these recordings, and to those who inspired and encouraged me. I hope these songs will become your songs, songs to share. 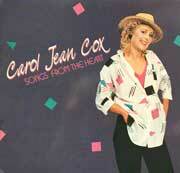 This eclectic collection features 10 original award winning songs. 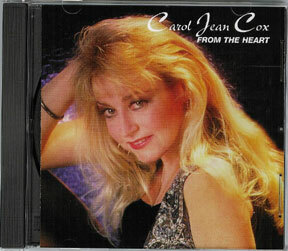 Produced in Los Angeles, this 24 track recording highlights Carol's musical diversity and her penace as a songsmith. 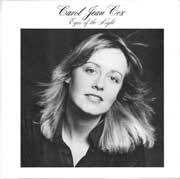 From ballads, to rock and country and acoustic folk, this collection highlights Carol's lyrical depth and her reflections on life experiences. Song selections include Dealin' Love — winner at the Nashville Music City Song Festival V, Chained By Your Love — winner at the Northern California Songsearch and Changing Tides — winner at the New York Pro/Am song Jubilee. Eyes of the Night — the stars of night, the eyes of God sparkle and shine on us. A Journey's Memory — travel through Europe, country by country in song. ©Copyright 2002-2018, Carol Jean Cox. All Rights Reserved Worldwide.